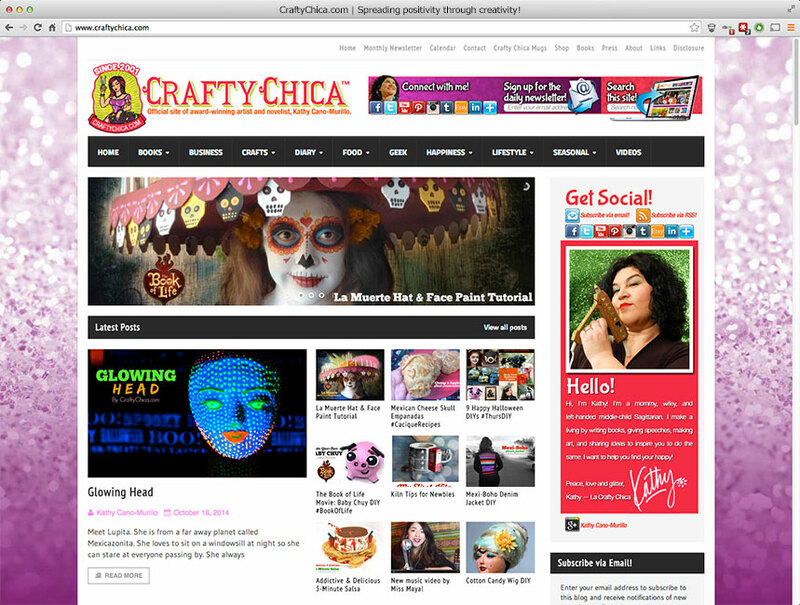 Kathy Cano-Murillo is a writer/novelist, artist and founder of the award-winning site, CraftyChica.com. Known for her glittery “Mexi-boho” style, she has a national craft product line and is a former syndicated columnist for The Arizona Republic. She has has authored nine books, two of them novels. 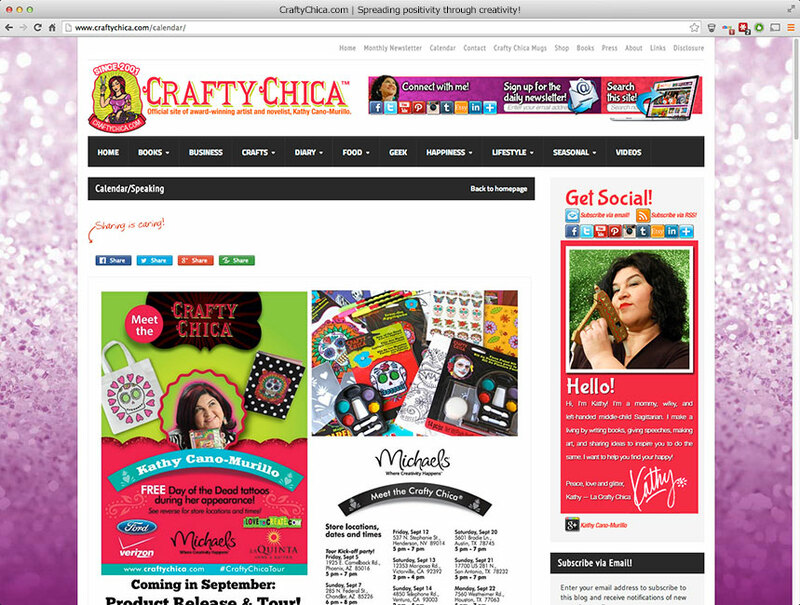 She has been featured in The New York Times, USA Today, HGTV, DIY Network, Lifetime TV, and more. 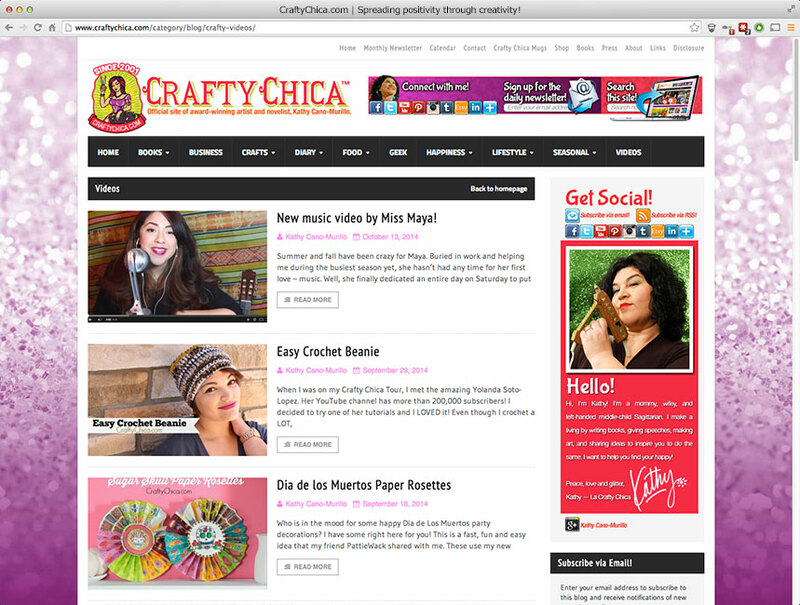 She’s built an amazing brand for herself and as a result, her website, CraftyChica.com, gets an insane amount of traffic and is a frequently referenced example of what a power blogger’s website should look like. 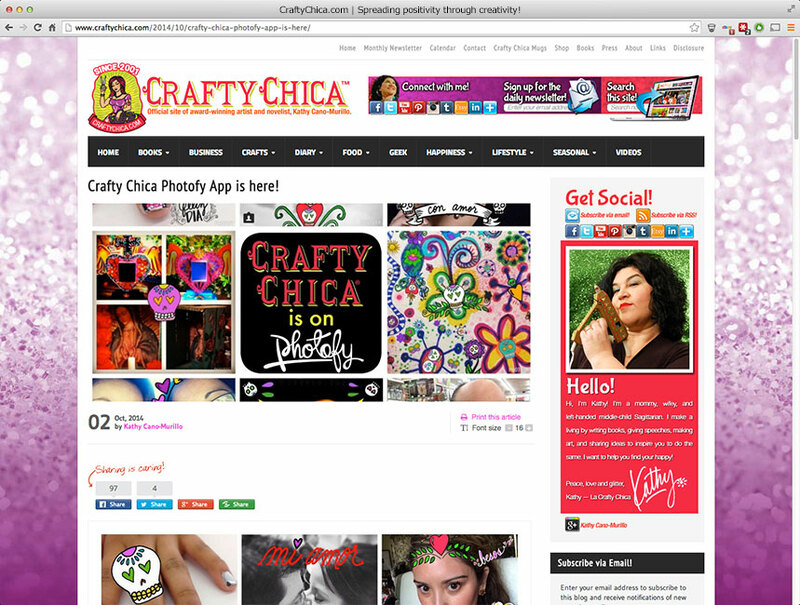 The site was designed from the ground up to handle a high volume of content, interact with multiple external social networks and of course, reflect her signature style, all through a custom built theme leveraging the WordPress platform.